Here at SNAP4CT, we love one pot meals. What's better than making a full dish and only having to wash one thing? This pasta dish is quick and easy and is sure to be a family favorite. Get creative and add any of your favorite vegetables. Check out what's in season in CT for some ideas! 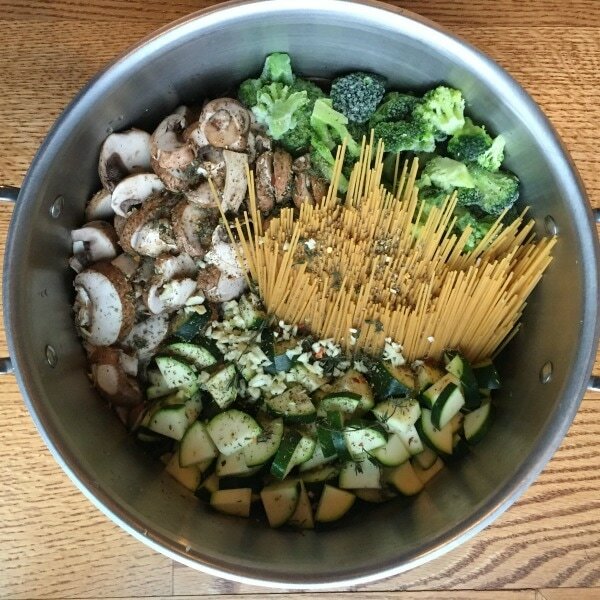 In a large sauce pot, combine pasta, zucchini, broccoli, mushrooms, garlic, seasoning and water. Bring to a boil, then let simmer uncovered until pasta is cooked and liquid is reduced (about 8-10 minutes). Add in Parmesan and cream.